My Key to success has been unparalleled service coupled with superior knowledge of our local real estate market. The specific real estate markets I serve are Destin and the beach communities of South Walton County. 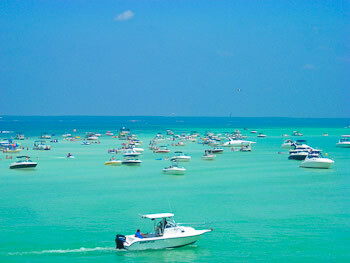 The areas this website is focused on are Destin, Miramar Beach, Okaloosa Island and Navarre, FL. I also service the cities between and including Destin to Seacrest Beach better known as Highway 30a beaches. Here is a list of cities I represent; Santa Rosa Beach, Dune Allen, Grayton Beach, Hwy 30a Beach Areas, Seagrove Beach, Blue Mountain Beach, Seacrest Beach, Rosemary Beach, WaterSound Beach, Seaside, WaterColor, Carillon, South Walton Beaches, Inlet Beach, Hollywood Beach and Sunny Side. You can get a good overview of the kinds of Emerald Coast Real Estate are available from these featured listings. There are many realty options from which you can choose: Destin Beach Condos, luxury homes and condos, undeveloped land and newly constructed Emerald Coast homes. The types and price range varies substantially from older cinder block cottages to three-story luxury homes. The Emerald Coast is truly a paradise for outdoor sports of all kinds; golf, boating, sailing, surfing, fishing, swimming in the gulf mild waters not to mention a leisurely stroll along the beach. For those of you new to this area, you have just discovered the most beautiful stretch of coastline in the United States, perhaps the world. The water is very clean and clear and the sand is 100% quartz making at a brilliant white, like sugar. There are about 150 miles of coastline with a little more than two-dozen cities and towns dotting the NW Florida Gulf Coast. There is a diverse set of landforms, in addition to great beaches, there are deep water bays, bayous, rivers and sand dunes. Situated among these features are many fine homes and properties. We also have help many families find Pensacola Homes for Sale that meet every budget and need. Please contact us with any of your Destin real estate questions. "Your Pros for Emerald Coast Real Estate"